Tap. Tap. Tap. Tap. Tap. 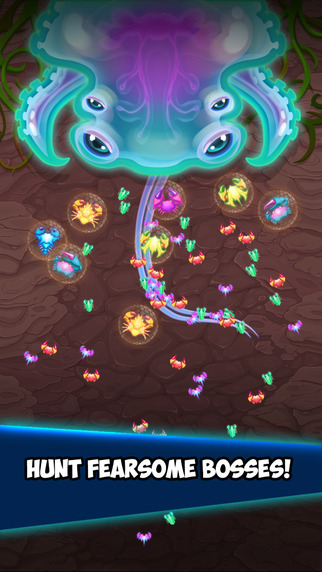 That’s pretty much a lot of what you’ll be doing if you play Crab War by AppXplore. Crab War is one of those crazy tapping games where all you litterally do is tap until your fingers fall off. Your tasked with destroying huge frog-like creatures with these crabs you summon by tapping on the screen. Okay, so maybe you do do a tiny bit more than just endlessly tapping on the screen. Craw War also part RPG where for each reptile you destroy, you gain gold bits. 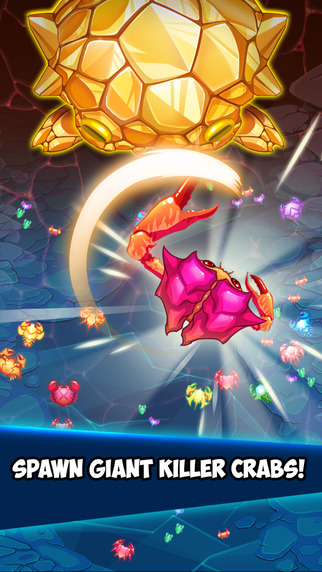 These gold bits can be used to level up your tiny crabs, evolve them into new types of crabs, or unlock new larger queen crabs that do more damage. 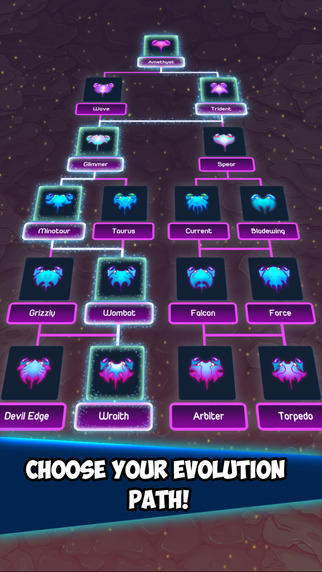 In fact, as you progress and your crabs become more powerful, you’ll discover that you won’t nearly have to tap as feverishly anymore since your crabs begin to do a lot more damage. As you begin to claim back more and more of your land, you’ll also encounter boss fights that work a bit differently than your standard fights. You will still need to deplete the enemies health, but a timer is thrown in as an added challenge. If you don’t defeat the boss in set amount of time, it means your forces just aren’t ready yet. The boss will disappear allowing you to work on leveling up with the grunts. When you think you’re ready to fight the boss, you can summon them and try again. 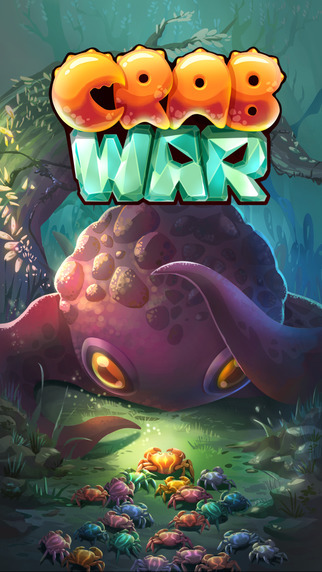 Despite all the repetitive tapping, Crab War can actually be quite fun and deep. Leveling up your units and buying new units makes the experience easier and less tappy. Also because this is a free to play game, there are ads included, but they make watching the ads beneficial. Instead of just throwing an ad at you to interrupt play, watching ads often give you extra bonus gold to spend. You also have the ability to just not watch any of the ads at all which is nice. Overall, not a bad game if you can live with the endless tapping.